Despatch RAF furnaces feature horizontal recirculating air.flow to ensure exceptional temperature uniformity of ±5.6℃ at 538℉. 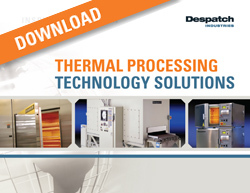 .These high performance furnaces deliver temperatures up to 538℃ (1000℉) and are great for such processes as annealing, aging, stress relieving and other process critical applications. 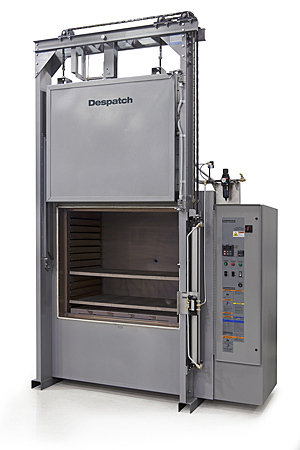 Despatch RFF Class A furnaces are specifically designed to meet NFPA 86 requirements for applications that include flammable solvents This Class A furnace is complete with a pressure relief panel, purge timer, and exhaust fan. .These oven are equipped with the Protocol 3™ microprocessor-based temperature and hi-limit controller with large LCD display and real time clock for auto start capability. . The LCD display shows temperature readings along with clear, detailed information on oven status. .The data-logging functionality enables reporting and analyzing and data . les can be exported via the controller’s USB port. 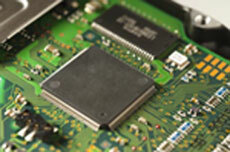 Modbus RS485 communications are included for easy data access. RFF2-35 with optional pneumatic lift door. 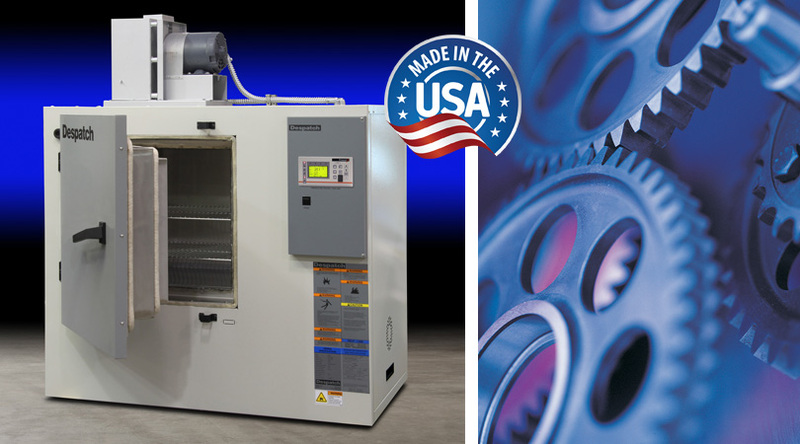 Despatch Industries is the worldâ€™s premier supplier for clean process, low oxygen, fast cycle curing of adhesives and polymers used in high-volume semiconductor packaging and assembly.